If the thought of another day in the office leaves you feeling dejected, it might be time to reevaluate your surroundings. We all suffer from a lack of inspiration from time to time, but our environment shouldn't necessitate this, it should cultivate ideas and be a springboard for our minds. A recent study shows 67% of office workers feel drained by their office environment by the end of the day. If you are one of those people, this article is for you. 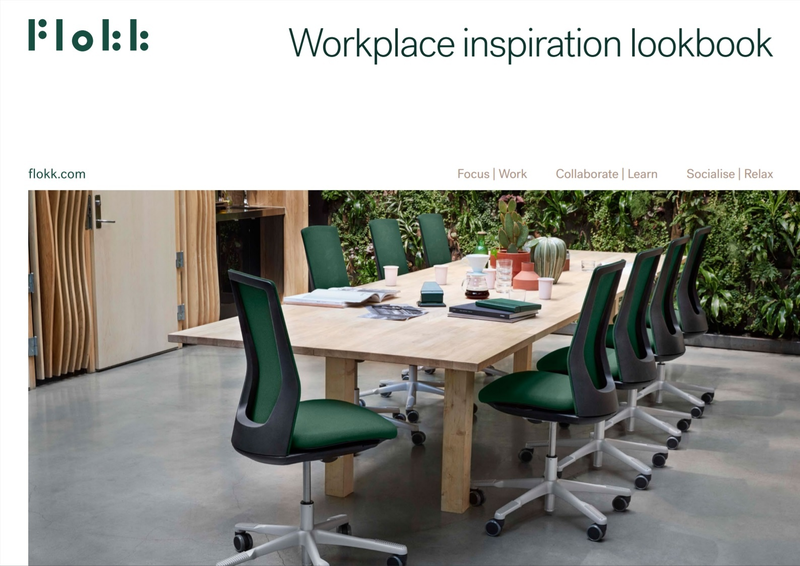 Continuing our new blog series on workplace inspiration, today we will be exploring how you can make your workplace work for you and help foster new ideas and new ways of working in your office. A mixture of natural and artificial light provides the most benefits; increaing wellbeing without the screen glare. With light being a key component of vision, and vision being responsible for 80 to 85 percent of our perception of the world around us, it’s not difficult to see why ignoring proper lighting strategies in your office could have a significant negative impact on productivity. A minimum of 500 lux is the recommendation for computer based workstation lighting, going up to 750-1000 for elderly workers or more complex tasks. Lighting should be flexible and energy-saving; able to adapt to different needs and utilising the latest in LED energy efficient bulbs. Introduce natural light as much as possible. Studies have shown that natural light in the workplace can increase your sleep time, which in turn can improve your productivity and happiness. Be sure to make sure there is no screen glare though. A study from the University of Texas found that bland offices, with gray or beige being the dominant colour, make workers feel sad. Women were found to be especially affected, with males also made melancholy by purples and oranges. 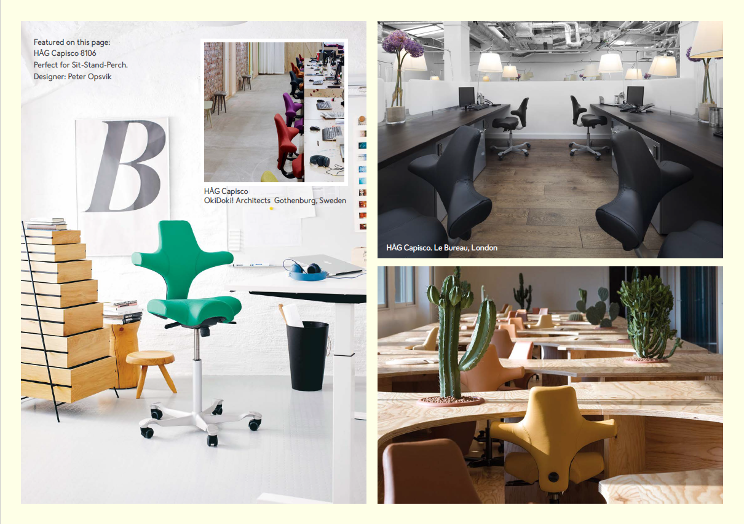 With a whole host of colour options as well as the ability to upholster your own custom fabrics, we can help you acheive whatever you are looking for. Red - This colour bring energy to a room. Red is a high wave-length colour, which can stir the passions and even alarm. It can be used to bring focus areas. Blue - The colour of productivity. 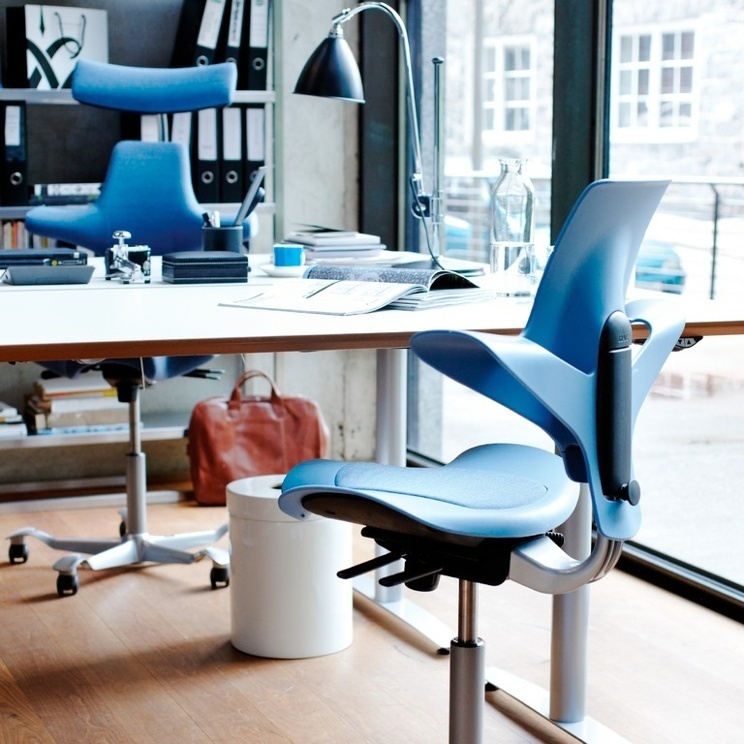 Stable and calming, blue helps you focus, making it perfect for desk-based task work requiring continued concentration. Yellow - Psychologists view yellow as the colour of optimism and freshness. A trigger of innovation, yellow is ideal for environments where artists, writers and creative professionals spend most of their day. Green - Working long hours? Green can reduce the effects of fatigue and induce feelings of calmness and endurance. Pastels - Low light? pastels like lavendar and lilac can be a great choice, but make sure you pair them with the right colours. contrasting with darker colours, they can cause eye strain, so aim to mix it with wood grain or lighter hues. 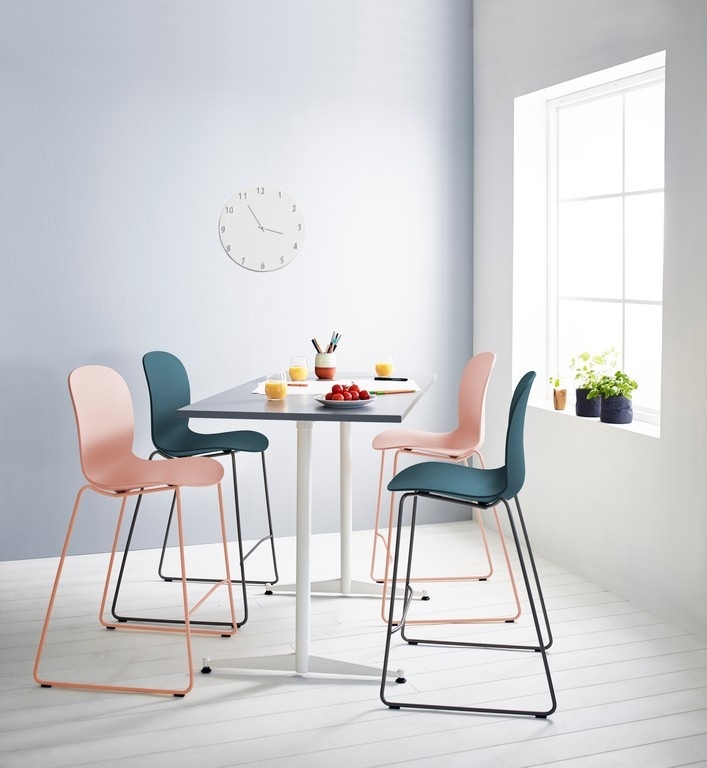 The Scandinavian colour ranges available across the Flokk range is full of pastels, as explained by our design team. "The HÅG Colour Palette has toned down colours ranging from muted pastels to dark saturated. These colours have a Scandinavian appeal that radiates soft hues found in nature in the transitions between seasons. Inspired by the Scandinavian light, the colours of the sea and the sky. We want the colours to enhance the sense of the natural with a subdued and harmonic clour scale to add a homely and calm feeling to the environment,"
If you just want a dash of colour, the HÅG SoFi range can come with a 'smile', a small accent of colour on the base of the backrest, if you just want a dash of colour to match any interior paintwork or fittings. Above: The HÅG SoFi 'Smile', seen with red, orange and yellow above. 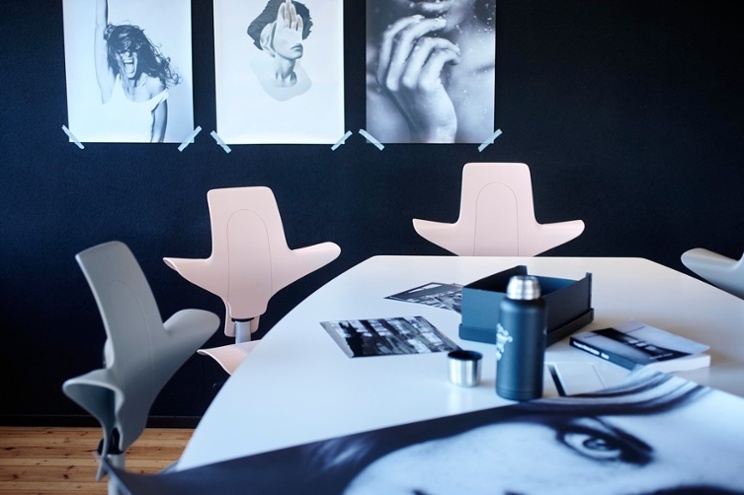 Collaboration rooms offer space for group work and informal meetings, away from the desk. Featured here, RBM Ballet. “Variety is the very spice of life, that gives it all its flavor.” So said William Cowper in his 1785 poem The Task. This applies to all things, including your office. If you spend all day sat in the same place, it can effect your wellbeing and productivity. 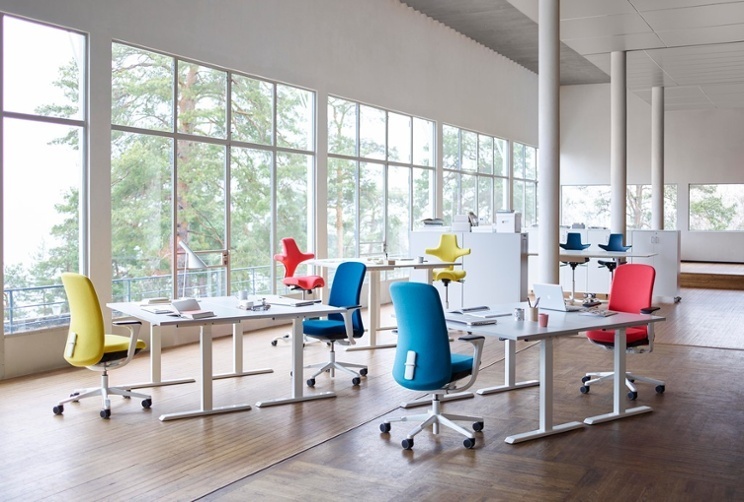 Introducing new areas to work, such as breakout areas, and collaboration rooms can not only help you to work better together, but also stimulate the brain and keep you active. 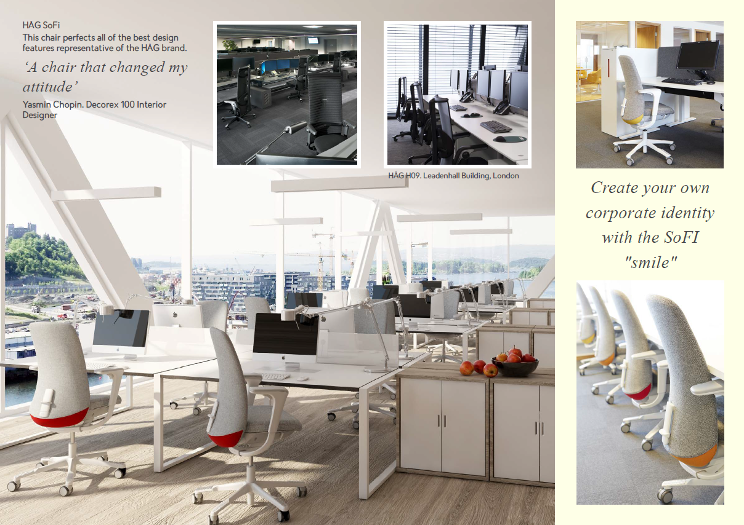 RBM Noor Up is great for informal meeting areas and as a perch to have a spot of lunch away from your desk. Introducing a rest area can have the same impact. Taking lunch at your desk can have a detrimental effect not only to your health, but to your productivity too. countless studies show moving around stimulates thoughts and ideas, and by having a shared dining area, workplace socialisation away from the desk can be beneficial to everyone.